While the temps are heating up, the flower colors are growing even brighter. That’s part of what makes summer so spectacular along with memorable summer weddings, picnics and outdoor parties, and special birthdays and anniversaries as well as new arrivals, job promotions, and those “just because” moments. Here, at Carithers, we are busy celebrating the season of summer at each Atlanta flower shop with many orders for summer wedding flowers and summer flower arrangements. We’re already well into the summer wedding season and have provided some stunning displays for both outdoor and indoor Atlanta weddings. Our collection of summer flowers is now available online and in our flower shops that illustrate the incredible artistry of our floral design teams and provide a great starting point for your summer décor for your home or special event. Sedona is bursting with sunflowers, orchids, and roses in a bright display. 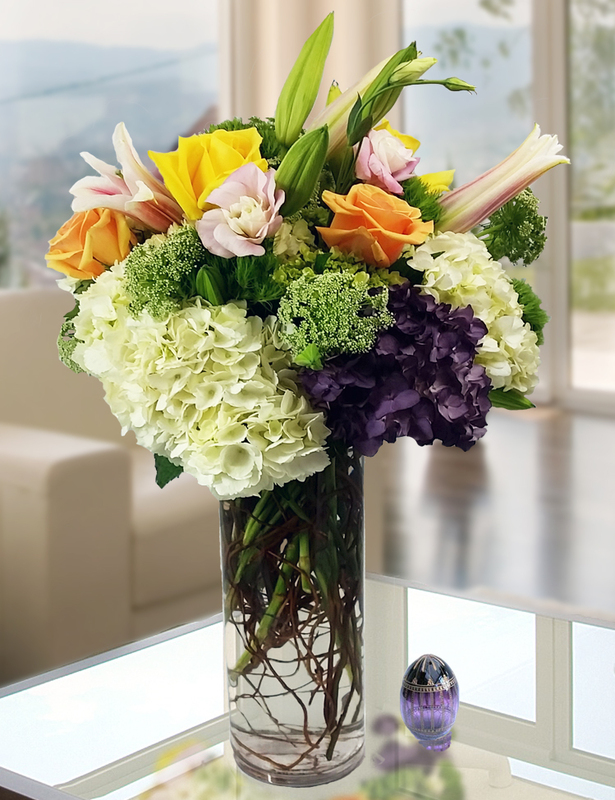 The Vibrant Summer Garden offers a garden-style arrangement in rectangular vase with a host of floral varieties that include roses, orchids, and lilies. 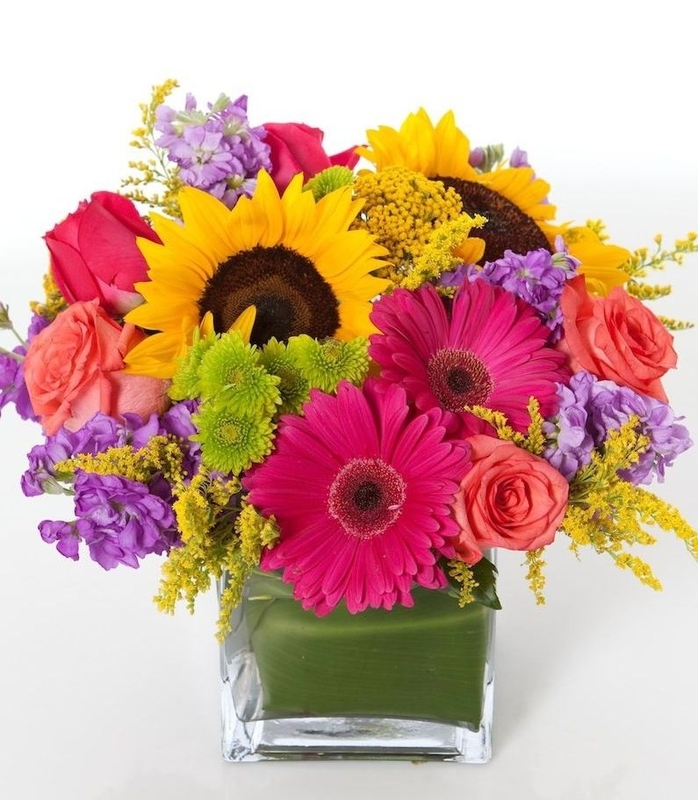 Gerbera Daisies Bouquet has a range of pastel colors to enjoy the many hues of this treasured summer flower variety. 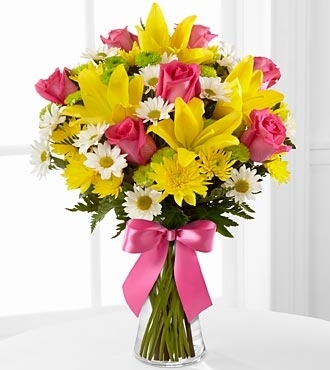 Sweetest Blooms Bouquet is a vibrant summer flower arrangement of fuchsia roses, yellow Asiatic lilies, yellow and white traditional daisies, green button poms and greenery in a clear glass vase. Garden Treasures is full of summer colors that pop, including full-bloom hydrangea, lisianthus, garden roses, trix and many summer seasonal greenery. Countryside Garden Cube has yellow sunflowers, gerbera daisies, fragrant stock and garden roses hand arranged within a glass cube vase. Right now and through August with delivery by August 31st and while supplies last, we have local summer flower savings that includes 20% of our luxury flowers, 20% off azaleas and hydrangea arrangements as well as our latest addition to the topiary collection, and a buy one dozen roses, get one dozen free offer. In addition to these summer favorites and our special sale, be sure to come into any of our Atlanta flower shop locations and work directly with our floral design team if you would like to create a customer summer flower arrangement or custom floral centerpieces.